Varicella and herpes zoster are manifestations of the same virus i.e. varicella virus. When a person comes in contact with the Varicella-Zoster Virus for the first time, he develops chickenpox. Even when he recovers, the virus remains latent in the nerves for years. In 15-20% of them, the virus is able to spread albeit locally along the nerve root causing herpes zoster. This occurs due to natural fading of immunity and hence occurs after the age of 40-50 years. Herpes zoster, though usually a benign disease lasting for 7-10 days can lead to complications. Firstly, it can lead to pain, which can go on for months to years. Secondly, if it involves the face, it could also involve the eyes and unless one takes proper precaution, this can lead to permanent damage to vision. 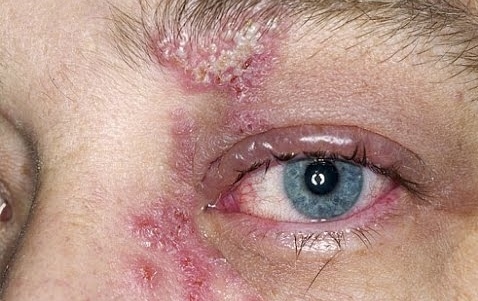 Lastly, herpes zoster if it occurs in immuno-compromised patients like HIV, it can lead to complications like pneumonia and brain damage. Yes, by taking varicella vaccine before chickenpox, one can prevent contact with the wild virus and hence prevent both chickenpox and herpes zoster. The vaccine does not provide 100% immunity though.